Douch & Small funeral directors and Wimborne Bowls Club are coming together as part of the Discover Wimborne month. On Thursday, April 6, they will have a community stand in the main square between 10am and 2pm. Douch & Small wants to raise the profile of the bowls club, which it has sponsored for a number of years. But it will also be promoting the other charities and good causes that it supports across Wimborne and the surrounding area. These include Preemies – a charity that provides knitted clothes for premature babies – and its own ‘knit ‘n’ natter’ sessions held at the Wimborne Library. Wimborne Good Neighbours, which provides help for people needing small jobs doing, will have a presence as will the ‘eat and meet’ sessions held at various Royal British Legion branches. Discover Wimborne is a month of events showcasing Wimborne throughout April. There is a full programme of events under the headings of ‘shopping’, ‘culture’, ‘business’ and ‘food and drink’. Emma Regan from Douch & Small, which is part of Dorset’s Douch Family Funeral Directors Group, said: “The Discover Wimborne month is a great way of publicising what the town has to offer. 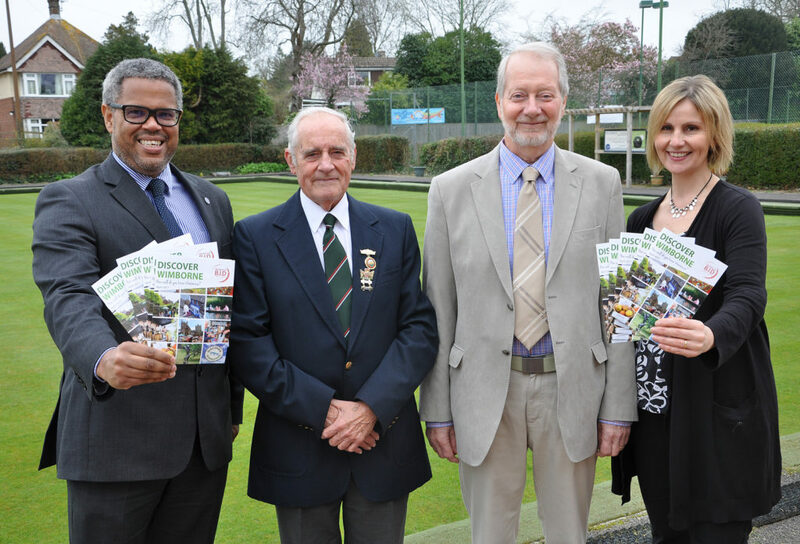 “We’re proud sponsors of the excellent bowls club and together we will be in the square on Thursday April 6. “We want to get people involved in the sport and other leisure activities and ultimately visit the bowls club at Redcotts Recreation Ground. “The day is also an opportunity to publicise some of the great charities and good causes that we work with. And we’ll be trying to raise some money for our chosen charity this year; the Cystic Fibrosis Trust. Grant Bocking, President of the bowls club, said: “We’d love to bring some more people into the sport. “We have a great club and fantastic green at Recotts and we’ll be on hand in Wimborne to tell people all about it. Brie Logan, co-ordinator of the Discover Wimborne project, said: “We’re delighted that Douch & Small and the bowls club are part of this month of events.